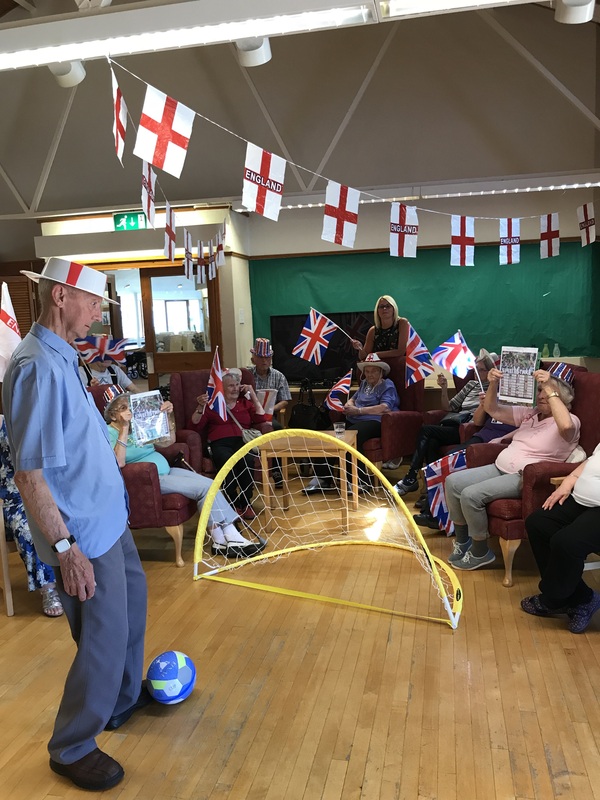 England fans at care homes, schools and day centres have been cheering the team through to the last 16 of the World Cup. The celebrations at Lancashire County Council venues have included parties, decorations, matches being shown on big screens at care homes and a host of other activities. In schools which use council catering services, wall charts have been provided and competitions are taking place. Visitors at Fosterfield day centre in Chorley donned their England hats, got out their flags and ran a sweepstake. Half of the proceeds will go to the winner and half will be used to fund activities at the centre. Residents at Woodlands care home in Clayton-le-Moors watched the match on a big screen and at Grove House in Adlington there was a World Cup party. Chris Bagshaw, head of the county council’s older people’s service, said: “Everyone’s been getting into the World Cup spirit and we’re all delighted England are through. “Fans who use our services are enjoying the parties, raffles, World Cup meals and other activities at our care homes and day centres. Anyone wanting to find out how the county council’s older people’s services can support them or the people they care for can visit www.lancashire.gov.uk/health-and-social-care/adult-social-care/older-people-services for details.